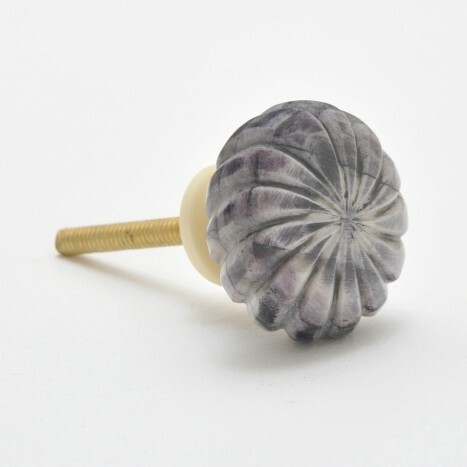 The subtle grey tones swirl and twirl through the deep creamy body of this hand carved knob. On closer inspection, a rough rubbed quality can be seen within the distressed meetings of the grey and white. Tags: black and white bone cabinet knob, swirl design cupboard knobs, decorative cupboard knobs, bone knobs, bone dresser pulls, pretty bone cabinet knobs.